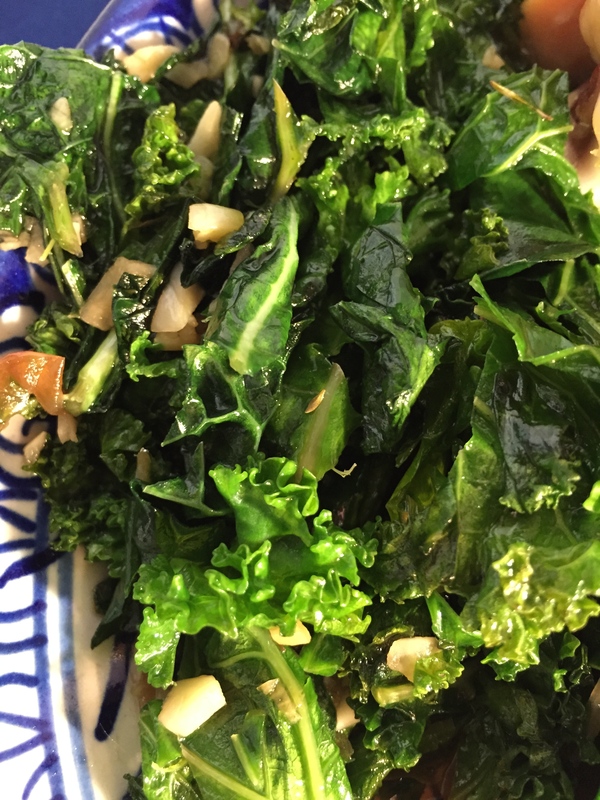 I love using lacinato kale – the dark green dinosaur kale. 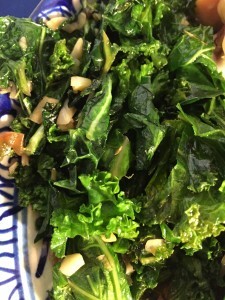 Kale is my favorite vegetable, and this is my most used recipe of all times. Kale, one bunch, washed, pulled off the stem, chopped – let sit 5 minutes or so. Heat olive oil in frying pan (medium-high) and add garlic and then the kale. Sprinkle sea salt on the kale and saute until tender, stirring frequently (about 5 minutes). Sometimes I like to add a splash of water and then put a lid on it so it will steam a bit (1-2 minutes). If there is still some water in the pan, I remove the lid for the last minute. This recipe takes no time to make. I usually make it last, while everything else is getting put on the table. This dish goes great with Brussels sprouts, roasted chicken, sweet potato sticks, or root vegetable gratin. To make Vietnamese Style Sauteed Kale, omit salt and add a splash of fish sauce. Also toss in some chilies with the garlic. Then add sea salt to taste. YUM!